For a brief period Bunyodkor Tashkent was on the verge of becoming a so-called super club that in some ways was thought to change the face of football in Central Asia. The famous Brazilian midfielder Rivaldo played here and his compatriots Zico and Luiz Felipe Scolari coached the side between 2008 and 2010. In some ways, the story of Bunyodkor Tashkent is overshadowed by those of other clubs in the post-Soviet space with a similar tragic comedy complexion. Anzhi Makhachkala or Akhmat Grozny in Russia come to mind when thinking of the complexity and involvement of post-Soviet regional politics in the football landscape. Another, more successful example, is FC Astana in neighbouring Kazakhstan. What Bunyodkor Tashkent shared with the mentioned-above Anzhi was the signing of Cameroonian striker Samuel Eto’o – at least that is what some contemporaries believed. But let us start at the beginning. Among post-Soviet football aficionados, Uzbek football is mostly known for one of the biggest clubs in the post-Soviet space, Pakhtakor Tashkent. Pakhtakor was the only club from the old Uzbek SSR to play in the Soviet Vysshaya Liga and after the fall of the USSR dominated Uzbek football. In 2006 Kuruvchi would win promotion to the Uzbek top flight. Just one year later the club would finish second behind Pakhtakor. Not that Kuruvchi would have to play second fiddle to Pakhtakor for very long, because just one year later in 2008 the club secured its first championship under the guidance of Brazilian head coach Zico, who signed for the club in the September 2008. That summer the club was renamed Bunyodkor, and the club signed Brazilian defender Luizão, the mentioned-above Rivaldo and the Chilean forward José Luis Villanueva. Rivaldo would score nine goals in 15 appearances for the club and help Bunyodkor not just to win the league but also win the Uzbek Cup and reach the semifinals of the AFC Champions League where the Australian side Adelaide United eliminated them. Rivaldo, however, was not supposed to be the only superstar to sign for Bunyodkor. In July rumours heated up that the Tashkent based club could sign Barcelona forward Samuel Eto’o. Eto’o at the time was one of the most prolific strikers on the planet and the face of African football. The news was confirmed by Kuruvchi sporting director Bahtier Babayev, who has said Eto’o will sign with the club later this week on a contract to be determined by performances. “Eto’o will arrive in Tashkent on Thursday, and he will sign a contract with our club, at least up until the end of 2008,” Babayev said at the time. “My head started spinning when I heard what they offered – $25m to play for two or three months,” Eto’o told the French television station Telefoot later after flying to Tashkent, where he, too, gave a skills session. Ultimately, Eto’o turned down the opportunity to play in Uzbekistan and remained at Barcelona until 2009 when he joined Inter Milan. The Cameroonian would, however, end up in the post-Soviet space after all signing for Anzhi Makhachkala in 2011. The Samuel Eto’o story and the later signing of Rivaldo highlighted that for a brief glimpse everything seemed possible in Uzbek football. But where did the money come from to finance the football star factory that was constructed in the post-Soviet republic? During the time of the Soviet Union, the cotton and oil and gas industry provided the country with plenty of natural resources. At the same time, the wealth was seldom flowing down to the general population. Instead, Uzbekistan became an autocracy under President Islam Karimov. It was Karimov, who declared his country independent from the Soviet Union after the attempted coup in Moscow in August 1991. By December elections were held, which Karimov won, and he would not loosen his grip from power until he died in September 2016. Under his leadership, Uzbekistan turned into an authoritarian regime. In May 2005 his country was sanctioned by the west for the Andijan massacre in which between 400 and 500 protesters were killed for anti-government protests. Those sanctions were not lifted until 2009 and football was quickly identified as a nation-building tool to get Uzbekistan back on the map and open lucrative trade routes to Western Europe. Hence, when it comes to the money trail, the British newspaper Guardian identified no other than Gulnara Karimova behind the club’s rise. The nominal owner was Miradil Djalalov, the head of Zeromax, a Switzerland-based company that has the biggest private business in Uzbekistan. The company works in oil, gas and cotton, the latter being Uzbekistan’s biggest industry, and runs Uzgazoil, which has petrol stations all over the country. Ultimately, it did not come to this. But before we get there, Bunyodkor raced from title to title. The club would win five PFL Oliy Liga titles between 2008 and 2016 and finish runner-ups twice. Furthermore, Bunyodkor also won the Uzbek Cup on four occasions and reached the semi-finals of the AFC Champions League in 2008 and 2012. After Scolari left the club in 2010, the club would win just one more national championship. The German Thomas Brdarić was brought in 2012 to modernise the club, and it was under his guidance that a young side of mostly Uzbek players would win their last title in 2013. The club built a brand new stadium for €250 million with 34,000 seats. Constructed by the German company Gerkan, Marg and Partners Bunyodkor became the door opener for a major German construction company to Uzbekistan. Uzbekistan’s untapped potential was enormous the country is the home to the fourth-largest gold deposits in the world. The country is also rich in copper and uranium and has one of the few untapped oil and gas reserves on the planet on its territory. With plenty of wealth available foreign countries were happy to swoop in and the government wanted to benefit. Bunyodkor was, therefore, a vehicle to gain support from the local population but also to show off a “normal” country to foreign investors. The problem, however, was that much of the investment did end up with the ruling elite. In 2007 Uzbekistan ranked 174th out of 179 countries on the Corruption Perception Index. With wealth not distributed it was only a matter of time for the house of cards set up by the Karimov family to collapse. 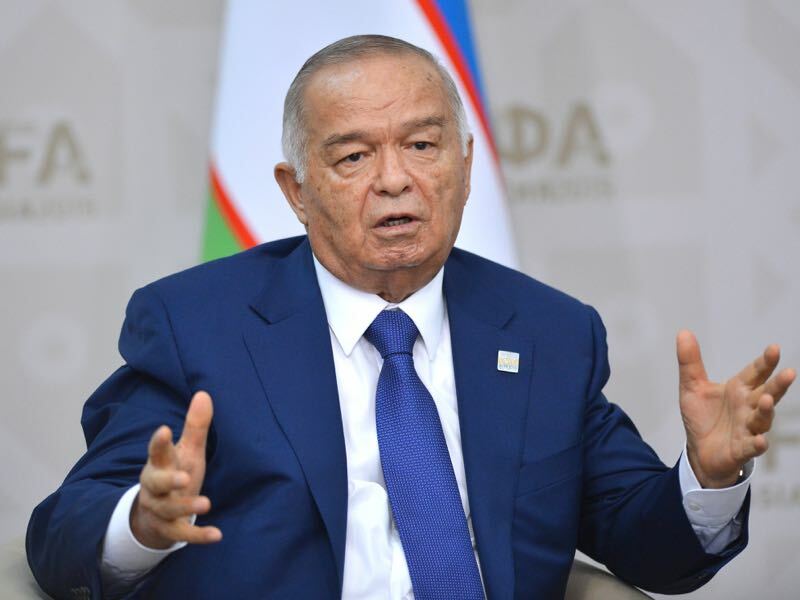 Hence, when Islam Karimov died in 2016 and was replaced by Shavkat Miriziyoyev the government brought in a wind of change. Although a close friend and political supporter of Karimov Miriziyoyev soon brought in political change to the country in an attempt to open Uzbekistan to the world. In 2017 Bunyodkor’s financial benefactor Gulnara Karimova was sentenced to five years of “restricted freedom” in 2015 after she and several associates were convicted of crimes including extortion, embezzlement, and tax evasion. Radio Free Europe additionally reported that Karimova has additionally been charged with several other crimes, including financial misdeeds, forgery, and money laundering, and the investigation continues, the statement said. Hence, with the money drying up Bunyodkor was no longer the big boy in the Uzbek league. The club finished second in 2016 and but top striker Eldor Shomurodov would leave the club for FC Rostov at the end of the season. But even before the period of the Karimovs’ political decline, Bunyodkor had to sustain some lean years in the Uzbek top flight. Some of the struggles can be explained by the re-emergence of Pakhtakor, who won the national championship 2014 and 2015 but also by shifting attentions of Uzbekistan’s ruling elite at the time. Like children with a toy, the attention span did not last to build a meaningful foundation for Uzbekistan’s builders. Instead, the club went the route of many other teams in the post-Soviet space that were quickly propped up and nowadays is just one of many competing in the Uzbekistan Super League.